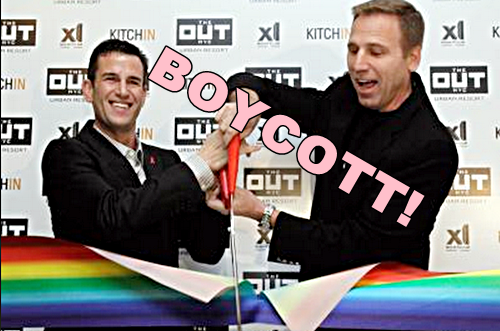 OUT NYC hotel owner and real estate developer Ian Reisner has once again apologized for his decision to host a reception with Mati Weiderpass)and dinner at his Manhattan penthouse for virulently anti-LGBT senator and 2016 candidate Ted Cruz last month. The apology comes on the heels of making comments that he was the victim of bullying by the gay community and that gays are “cheap and entitled”. Reisner, who back in January paid $10.1 million for a commercial strip along the Fire Island Pines, has now pledged to redouble his support for LGBT causes and cut a $20,000 check for the Fire Island Pines Property Owners Association (FIPPOA) PAC. First I want to clear up that Mati Weiderpass has zero involvement or ownership in the Pines. Now let me state unequivocally that I made mistakes. While my initial intention was bi-partisan dialogue about National & Israeli security, I’ve come to learn that intentions and outcomes are different things. The outcomes of my actions are that I’ve deeply hurt our community – and I am truly sorry. – I am renewing and redoubling my commitment as an ardent supporter of LGBT causes. – I will continue to invest my resources in the Pines, its cultural programs and activities that celebrate the diversity and acceptance of its community members, so that it always holds its rightful place in LGBT history. – To this end, today I made a donation to the ‘FIPPOA-PAC’ — matching All funds raised in its last active year — which supports politicians committed to the Pines and to LGBT issues. – More so, I will be donating profits from my Pines Investment this summer to the following organizations that I have supported in the past: The LGBT Community Center in NYC & The Jerusalem Open House, as well as to ‘Equality Texas’ which fights for LGBT rights on one of this countries more challenging fronts. – Further, I am in the process of hiring a Director of Community Affairs to serve as a liaison with various LGBT organizations and to guide me in better serving our community. – Lastly, I commit to meeting and consulting with community & organizational leaders, to hear their concerns and their ideas so that we can all work together for a better Pines and a stronger LGBT community. Also Reisner has also not given any explanation about his well-documented support and fundraising for anti-gay Sen Ron Johnson(R). Interesting choice of pennace donating money to an association of wealthy property owners, who happen to be his neighbors, in one of the most non-inclusive and snooty gay meccas in the world! How self-sacrificing! What a way to show his concern and support for gay people who are not less fortunate as him! A decade ago, while I was still in my 20’s (and thus in their party demographic) I volunteered to staff a fundraiser a gay politician had at Ian & Mati’s place. I guess they thought I was cute, because they invited me to stay for dinner after with the candidate and a bunch of other SYTs… I left before the “after-party.” It was a sweet apartment. – Mati is ULTRA-CONSERVATIVE. This was back when the Dubya was in office and he made that douche look liberal. – Ian didn’t actually seem to care much about politics, except for gay rights and Israel. He mostly seemed concerned with making money. He couldn’t stop talking about some watch stores he’d either just bought or sold. He had the logo up in the… kitchen, maybe? He kept pointing it out. Mostly they just seemed like two rich gay guys who were full of themselves and expected everyone to be impressed. Meh. I’m much more impressed by writers and artists than capitalists. “The outcomes of his actions” are that they have deeply hurt his bottom line & cash flow. I hope both of these creeps rot in hell. I kind of would like to be a little charitable to Ian. For some reason I suspect he is somewhat sincere. Mati is a total fuckhead.